Thanks to Callum McLaughlin for his ever insightful participation in book tags. They look like so much fun and I(!) can play this time! Romance! I am that excited about my genre. Nora Roberts is always going to top my list because she consistently publishes characters and stories that define what I think of as great romance. The feels I get from her books are why I keep going back. I’ve read at least forty and I am excited to read more. She also writes as J.D. Robb and I’ve read at least forty-five of those (I count the novellas). The evolving relationship between Eve and Roarke is so sigh worthy! What is it about the genre that keeps pulling me back? Romance offers never-ending variety. There’s paranormal, sci-fi, fantasy, historical, western, sweet, urban fantasy, romantic suspense, thrillers, choose your own adventure, etc… But no matter what, there is always a love story. I clearly remember reading Tiger Eyes by Judy Blume and the Sweet Valley High series by Francine Pascal. I’m a born romantic and these stories confirmed that I found my book love home early. Some of the links in this post are my Amazon Affiliate links, which help support this site at no additional cost to you. 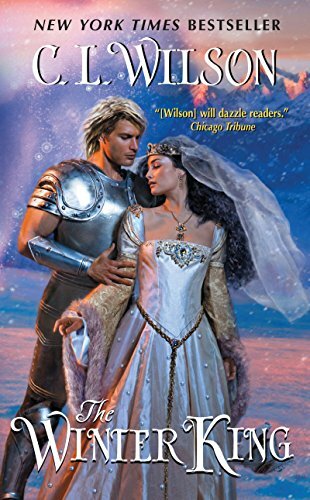 I usually recommend Dance Upon the Air by Nora Roberts, the first book in the Three Sisters Island trilogy, because the characters are so well drawn and the series is excellent overall. This was my first paranormal romance (PNR) series. I found all three books at a Friends of the Library sale and at first I thought I read the blurb wrong. Could this by a romance and a paranormal in the same book? You can have both in the same book?! My love for PNR was born that day. I have reread this series too many times to count. I think I’m a book junkie. There are so many ways to rearrange the twenty-six letters of our English alphabet! I consider myself privileged to experience the endless variety of books and authors available to me. Losing myself in a story is one of the best feelings there is. The short answer is: I read because I love to read and I always have. I loved that walk down memory lane! Consider yourself tagged if you would like to be a part of this book tag, and please link your post to me so I can read your answers! C.L. Wilson will be at Coastal Magic Convention in February! Squeal! I heard about Coastal Magic Convention from her blog post back in July 2017. There wasn’t a moment of hesitation for me to check out all of the details. I looked up the tickets, which are still available, and started planning. The convention is in Daytona Beach, Florida from February 22-25. Our convention hotel is The Shores Resort and Spa. If you are going to be there, shout it out to me. I would love to see you there! While we are on the subject of conventions, I’d love to hear about your experiences with them. Do you go to book conventions? Do you stay at the convention hotel? Do you stay for the whole convention? This is my first one, and I am excited! Now, about The Winter King. Wilson is treasured for her detailed action scenes and elaborate world building, which we were introduced to in her Tairen Soul series. I definitely recommend the whole series and I hope you will share your thoughts with me when you read it (or if you already have). I love to compare notes. There is a satisfying romance in The Winter King. The energy between Wynn and Kham zings through the page. You can feel their bond grow. There are scads and scores of details I’m leaving out that skillfully bring those feelings out. What fun would it be for me to spoil the discovery experience for you? The lore of Mystral, the land where the weathermages live, is full and engaging. I loved the feeling that even as I read about new languages and customs, I could also admire Wilson’s skill in making them feel exotic and familiar at the same time. There is a good dose of royal intrigue, similar to A Game of Thrones. Plenty of twists and turns to keep you flipping the pages. The series continues in The Sea King (2017). I’m reading that now, and completely looking forward to talking about them at the convention. Hopefully Wilson will tease us with future books in the series. Is there anything you would like to know about The Winter King that I didn’t talk about? Ask away! I was impressed by Weinberg’s advice about how to choose a true medium, and enraged when I read that one of the mediums she hired tried to control her by telling her that her husband’s soul would be in jeopardy if his widow didn’t do what they said. It doesn’t work that way. It really doesn’t. The book ends on a positive note, and I would be happy to see another book from this lovely author.